The man leading the daunting task of dealing with the Fukushima No. 1 nuclear plant warns with surprising candor: Nothing can be promised. How long will it take to decommission the three breached reactors, and how will it be accomplished, when not even robots have been able to enter the main fuel-debris areas so far? How much will it ultimately cost? 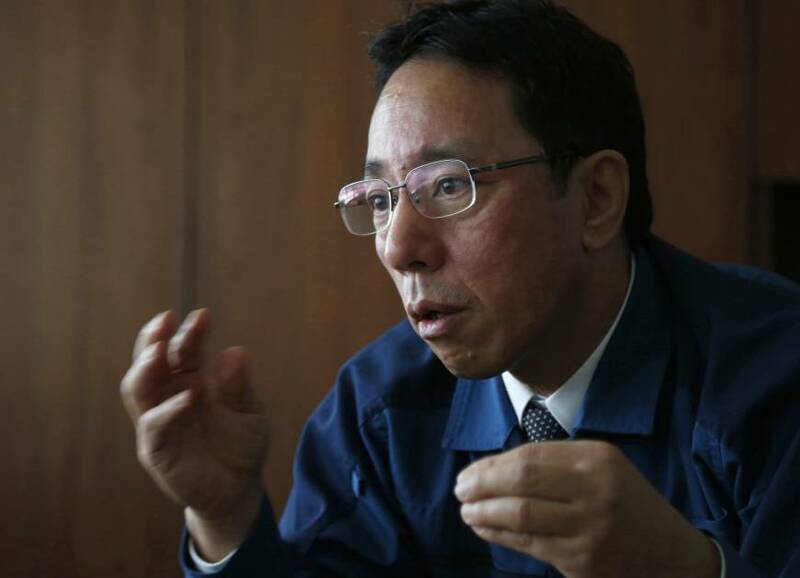 Naohiro Masuda, tapped last year as chief of decontamination and decommissioning for plant owner Tokyo Electric Power Co., acknowledges he is a long way from answering those questions definitively. “This is something that has never been experienced. A textbook doesn’t exist for something like this,” Masuda said at Tepco’s Tokyo headquarters Monday. It’s only recently the daily situation at Fukushima No. 1 has even started to approach “normal,” he said. Since the March 2011 meltdowns, Tepco has had to face one huge challenge after another, including storing masses of leaking radioactive water, clearing up rubble and removing fuel rods from a crumbled building. “Before, it was a war zone,” Masuda said quietly. Masuda’s approach contrasts with the sometimes ambitious, sometimes wishful announcements by the government, which pronounced the disaster “under control” as early as late 2011, just months after a devastating tsunami knocked out power to the Fukushima No. 1 nuclear plant, setting off the meltdowns. But in June, the government and Tepco acknowledged the target dates in the official road map for decommissioning had to be pushed back by about two years. Now even the most optimistic projections estimate the work will take about half a century. Masuda said without hesitation that more delays could be in order. No one knows exactly where the melted nuclear debris is sitting in the reactors, let alone how exactly the debris might be taken out. Computer simulation and speculative images are all he has so far. New science will have to be invented for the plant to be cleaned up. Each step of the way, safety and consequences must be weighed, for workers and for the environment alike, Masuda added. Under the latest plan, the removal of the fuel debris is expected to start within a decade. Still, Masuda likened such goals to reminders not to slack off, rather than hard deadlines based on real-life assessments. The March 2011 catastrophe is unprecedented. Unlike the 1979 partial meltdown at Three Mile Island in the U.S., the containment, where the morass of fuel lies, has been breached at Fukushima No. 1. Radioactive water is piling up: 300 tons a day by the latest count. And as devastating as the 1986 Chernobyl disaster was, that involved one reactor, not three. When asked about what he wanted to tell the people worried about contaminated fish, such as on the west coast of North and South America, Masuda said the radiation leak into the Pacific Ocean has been reduced to a level one-millionth of what it was in 2011. That is equivalent to what is deemed safe for drinking water, he said. Some radiation will continue to leak through rainfall, because rainwater will pick up radiation from the plant grounds, and some of it will eventually fall into the ocean. “They don’t need to worry, and, if there is anything to worry about, we will be out with that information,” he said. Masuda, who has worked for Tepco for more than 30 years, won praise for preventing meltdowns or explosions at Fukushima No. 2, a sister plant that also lost electricity after the 2011 tsunami. As then head of No. 2, Masuda acted quickly and decisively, leading his team, despite the chaos unfolding, to connect the reactors to surviving power sources. His company’s image is much different. Tepco’s reputation in the Japanese public eye was badly tarnished because of its bumbling response in the early days of the disaster. The utility has undergone a public bailout and has readied ¥2 trillion for decommissioning. The government has earmarked ¥54 billion of public funds for researching decommissioning technology through this fiscal year. Such money does not include compensation or damages lawsuits. The Fukushima catastrophe spewed radiation into the air, ocean and surrounding areas through hydrogen explosions, and displaced some 100,000 people. The way Tepco is spending money has drawn some criticism from experts abroad. Unlike the U.S. system, there is no open bid or escrow fund in Japan to dole out the massive decommissioning funds. Much of the work is going to the Japanese manufacturers that constructed the plants, such as Toshiba Corp. and Hitachi Inc., under long-term contracts. Some outside international consultants are involved, and some foreign companies have gotten water-decontamination and other contracts. Akira Tokuhiro, an American and nuclear expert who teaches at the University of Idaho, supports an open bidding process that invites more international expertise. He noted that Japan has no, or very little, decommissioning experience, compared to the Americans, the French and the Russians. “An international effort has the potential to reduce both time and cost, while maintaining safety, transparency and cost,” he said. Douglas Chapin, of MPR, a U.S. nuclear engineering organization that has advised the American and Japanese nuclear industries, was less critical, defending the Japanese method as simply different. Masuda said awarding contracts without open bidding is what is best for Fukushima, and Tepco needs to take primary responsibility. 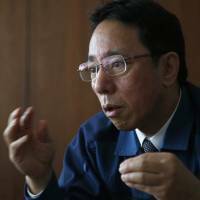 But Masuda also acknowledged that Japan has not done as good a job as it should have on relaying the harsh realities at the plant. He said it is his mission to relay all information, the good and the bad. “When I took this job, I promised to work as an interpreter, to relay our work in a way that’s understandable to regular people, and to communicate within the company what people are interested in and worried about,” he said.